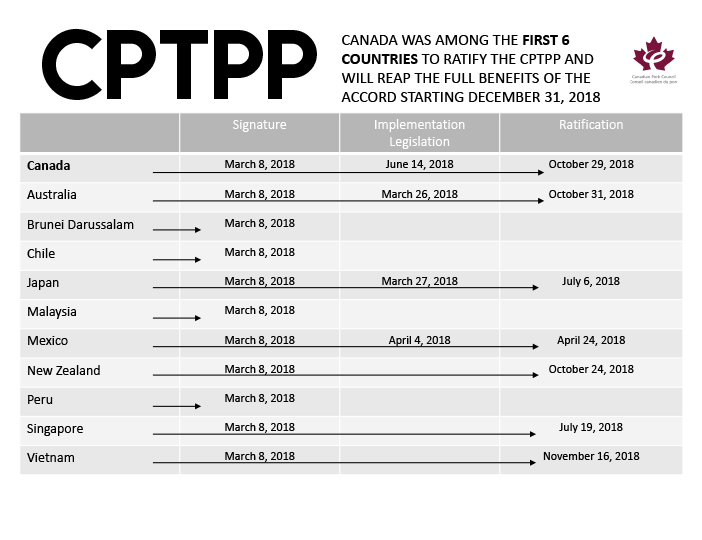 An important trade agreement for the Canadian pork sector, the CPTPP was ratified by Canada on October 29th, 2018. Full text of the agreement was tabled in the House of Commons on May 23, 2018. Implementation bill was introduced in the House of Commons on June 14, 2018. Implementation bill was approved by the Senate after the second reading on October 18, 2018 and was referred to the Senate Committee on Foreign Affairs and International Trade. The bill received Royal assent on October 25, 2018. Canada officially ratified the agreement on October 29, 2019, becoming the 5th country to do so. The agreement will come into force 60 days after 6 out of 11 countries pass implementation legislation. For subsequent parties that ratify the agreement, the CPTPP will enter into force for that party 60 days after the date of its ratification. 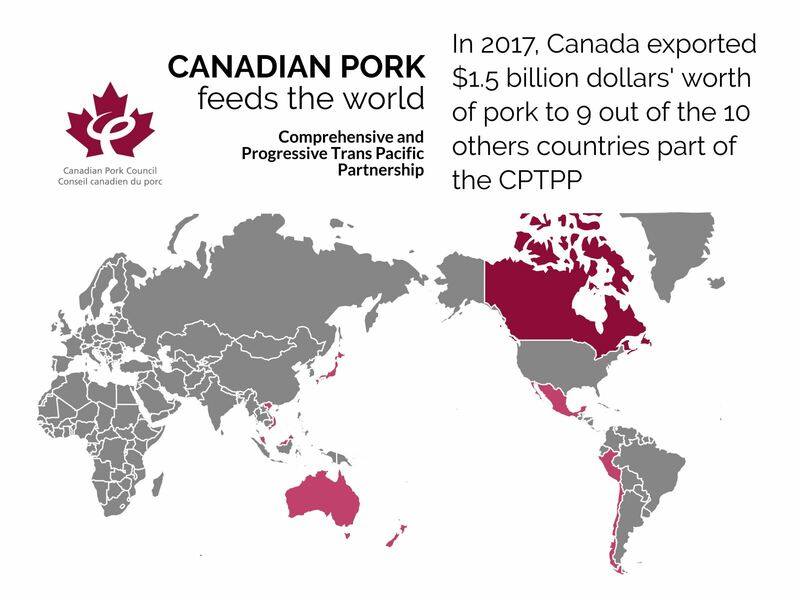 Once the CPTPP comes into force, Canada’s pork sector can expect a significant increase in exports, tariff reductions and a more level playing field with other countries in this partnership. Japan and Vietnam offer the most immediate potential.